Experience the Southern charms without beach crowds for a change. Nakhon Si Thammarat is my hometown and we'll take a peaceful stroll around the Old Town area. Let's visit the famous temple Wat Phra Mahathat and City Pillar Shrine, the fascinating shadow puppet gallery and show, and enjoy lunch break at our city's signature Rice Vermicelli restaurant. Then we'll go to Kiriwong Village and breathe in the best air in Thailand. Lunch time. 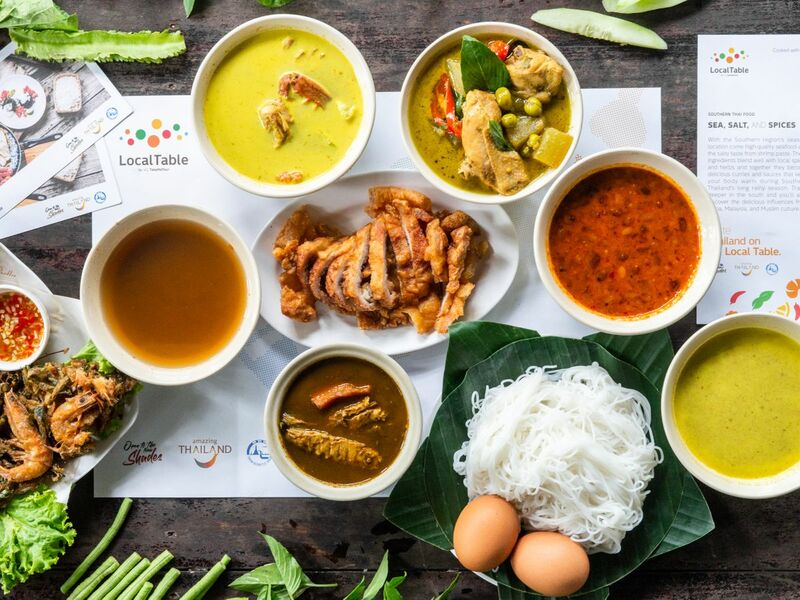 Taste Khanom Jeen (Rice Vermicelli) with a variety of Southern-style curry sauce and other local dishes.